Melrose Sapphire is a beautiful printed linen with shades of blue on a natural linen colored background. 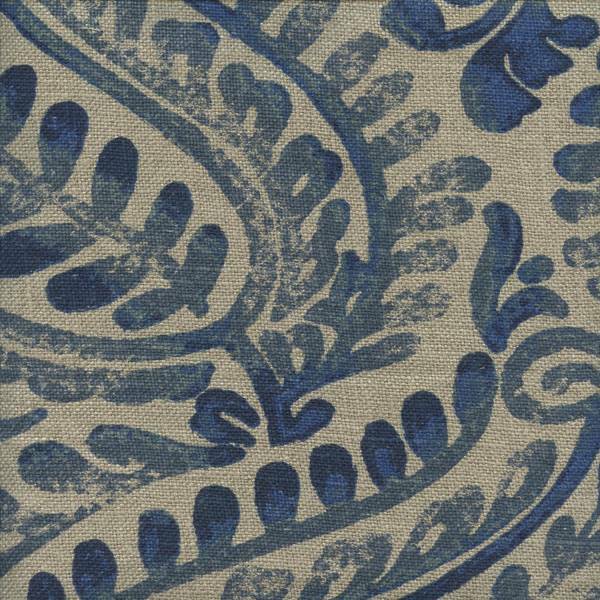 Large paisleys in bold color really set the tone for this fabric. It is suitable for drapes, comforters, duvet covers, pillows, shams, bed skirts, table covers, yet sturdy enough for headboards and other lightweight upholstery applications. Perfect for any room in your home or office, Melrose could certainly be the inspiration piece or add the finishing touch to any decor!